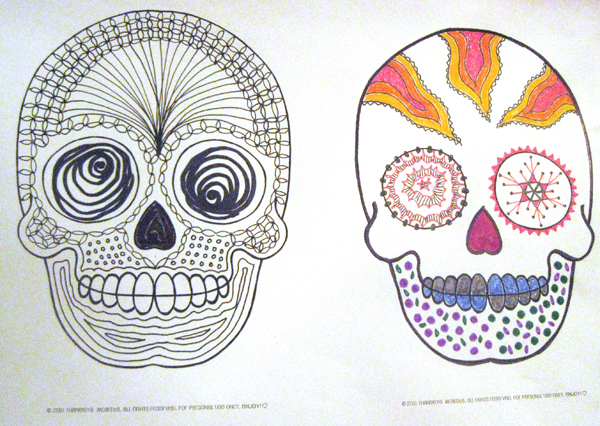 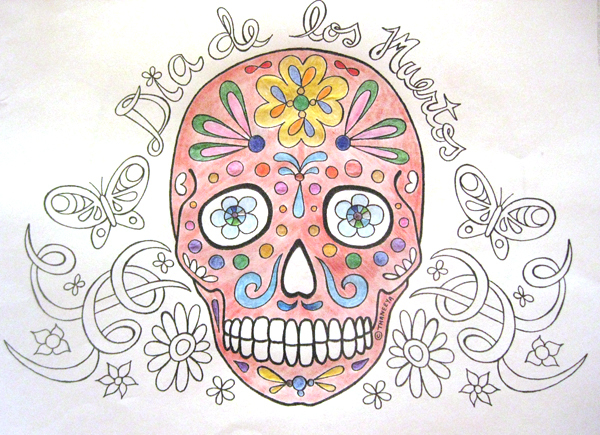 Tending to the Pilot Light students served up some colorful Dias de los Muertos Sugar Skulls this week! I'd also like to extend a warm welcome to new students and a big thank-you to my super special regulars! 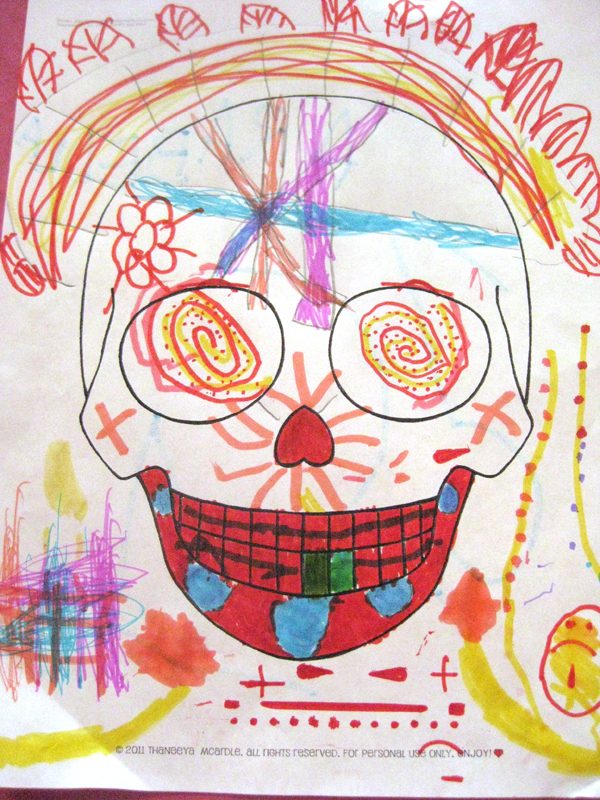 Here are some of the truly wonderful creations from Tuesday and Thursday evenings! 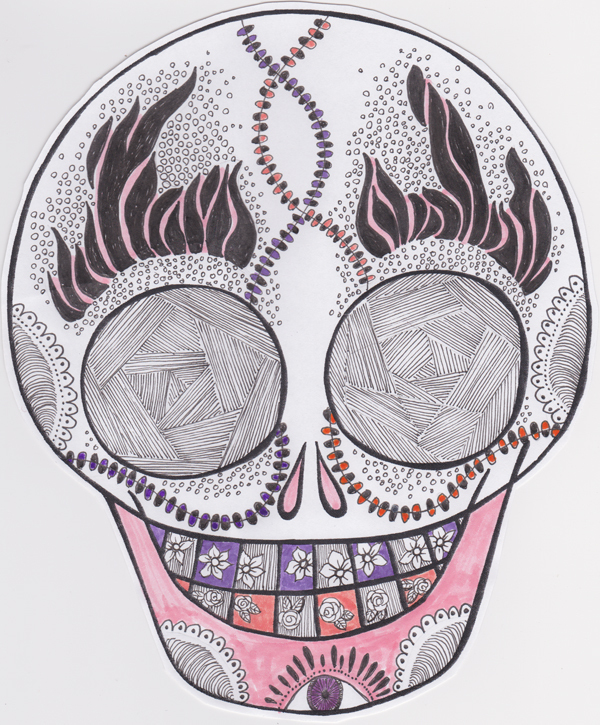 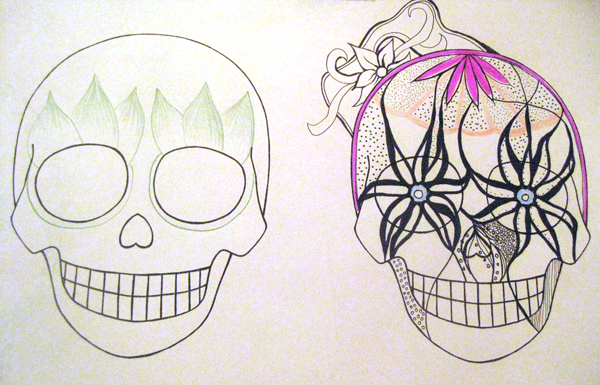 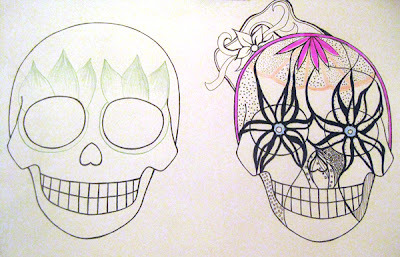 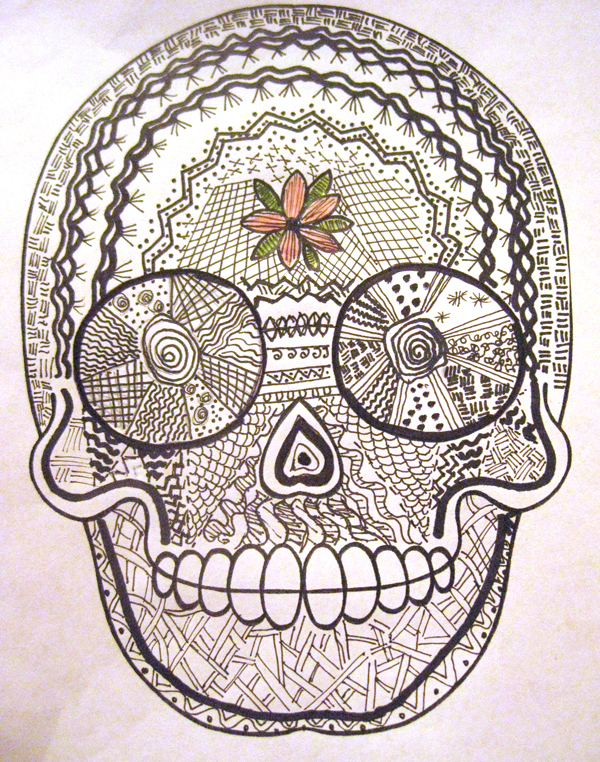 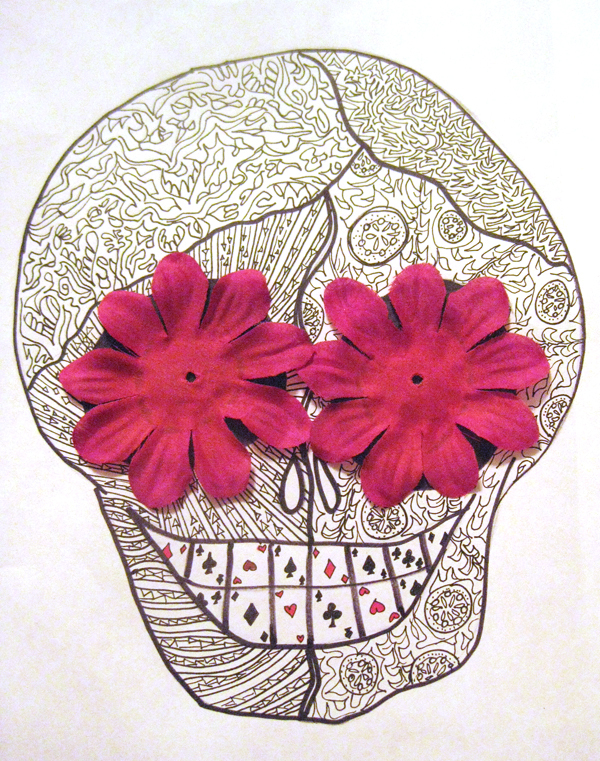 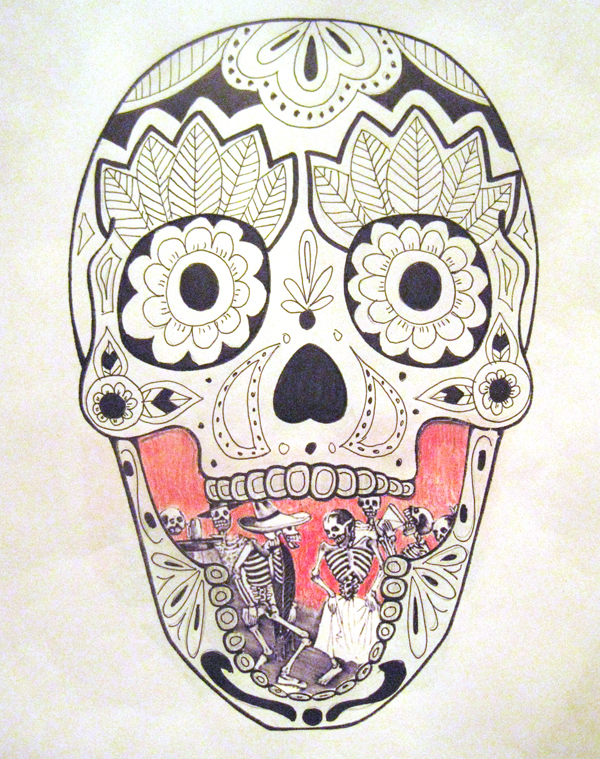 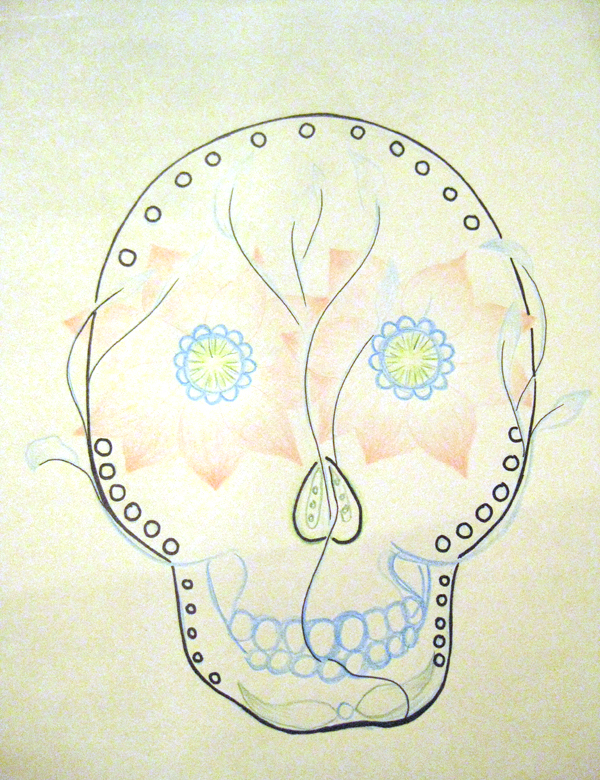 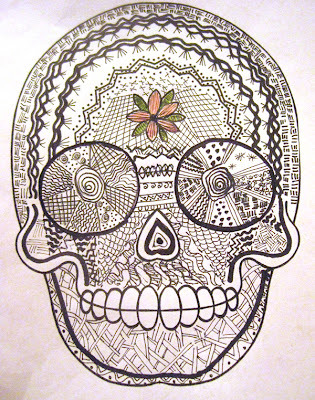 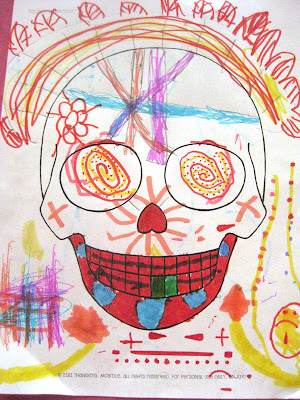 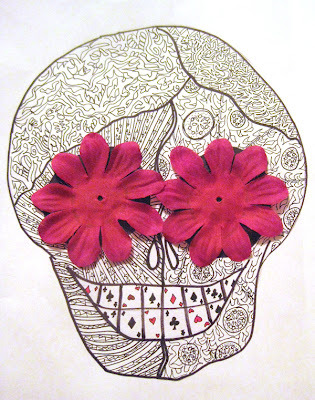 Here is one I completed during the classes - thanks to Ruby for the great eye socket deco idea! 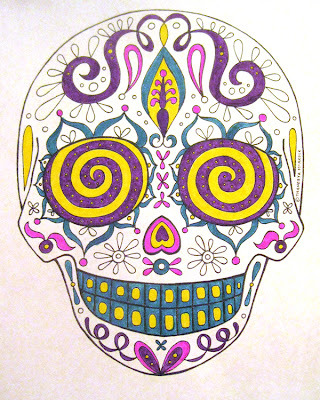 If you like the templates, check out this site where I purchased the digital download. 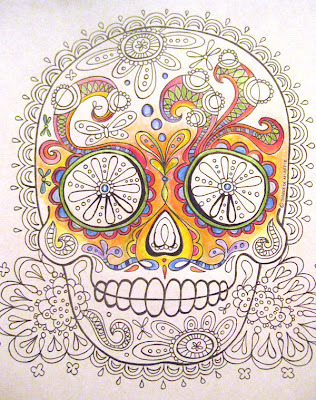 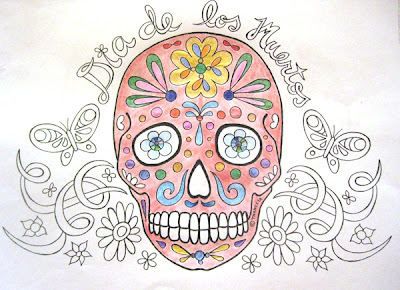 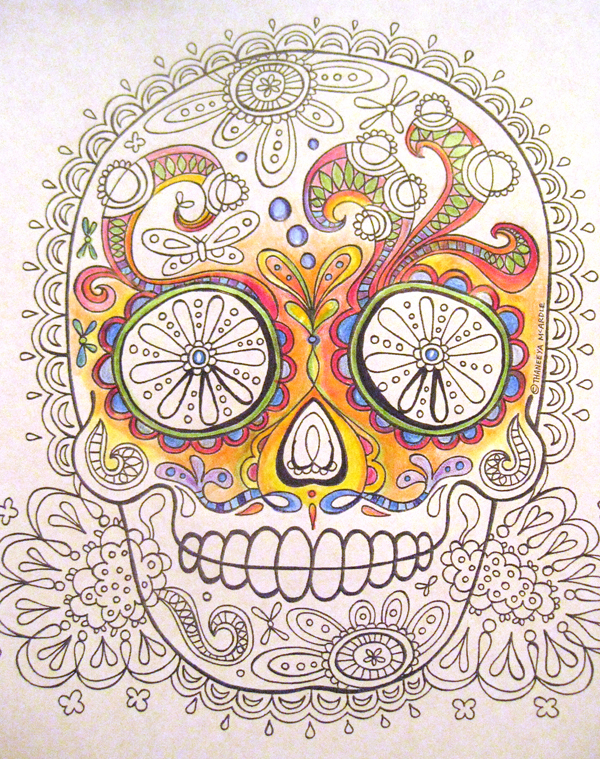 Next week, October 25th and 27th, we will be making Day of the Dead Shrines.... Stay tuned for more pictures!